Pairing the trout with a salad using local farro and spring vegetables, makes a quick meal. Place farro in a pot with 4 C. water and bring to a simmer. Cook for 25 – 30 minutes or until tender. Drain and cool. 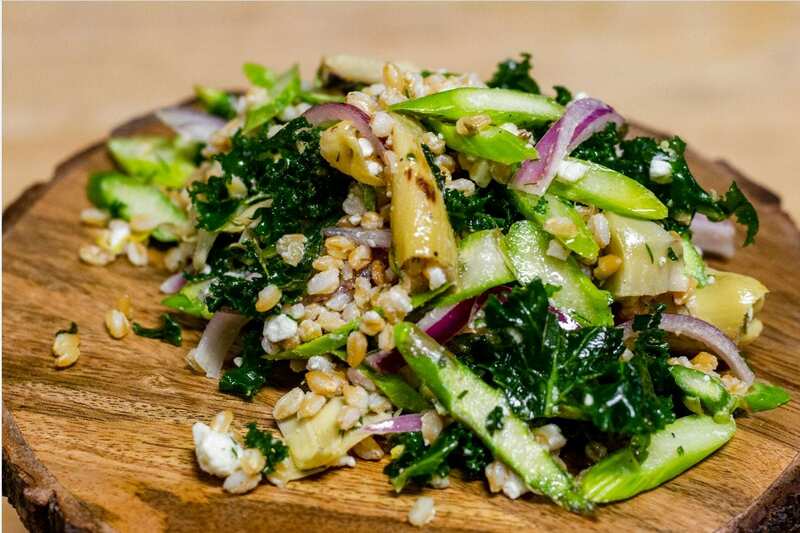 Place kale in a bowl and drizzle with oil. Massage kale with your hands until it becomes tender, about 1 minute. Add remaining ingredients and mix well.